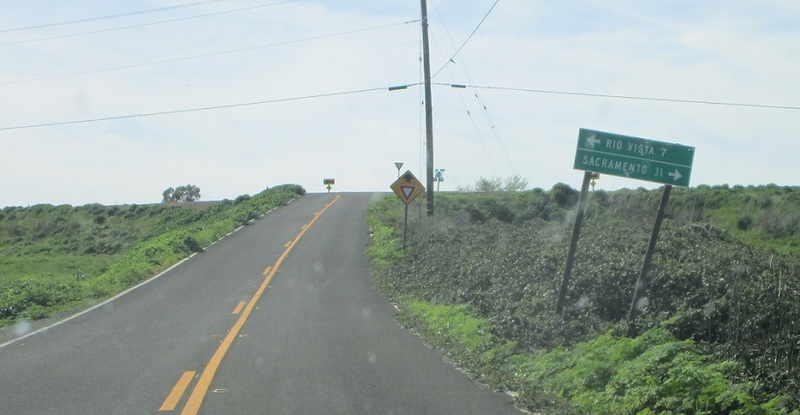 Reassurance shield as SR 220 begins. 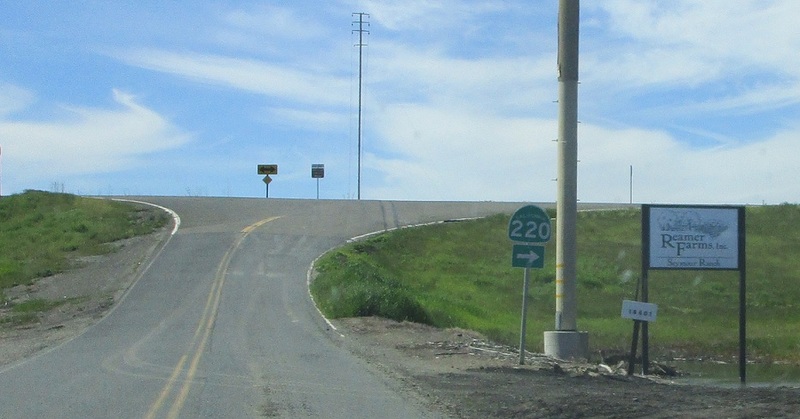 A couple miles later, SR 220 turns to head up onto the levee road. Just after we hop up onto the levee we’re directed to turn left to head back down off the levee to the J-Mac Ferry. SR 220 heads across the J-Mac Ferry. 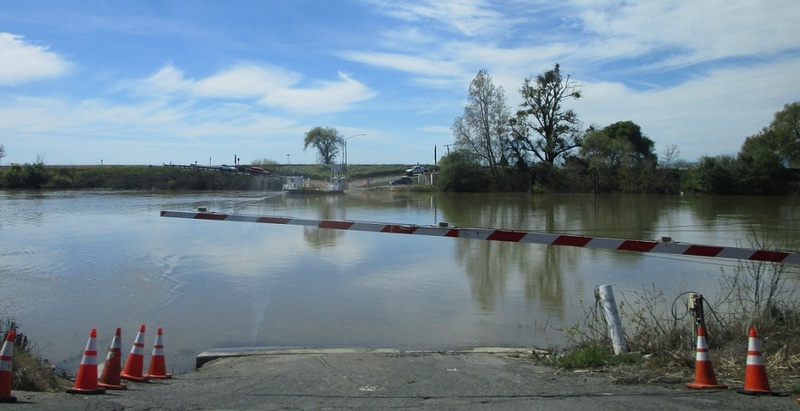 As we head off the ferry we’ll jump back on the levee on the other side. 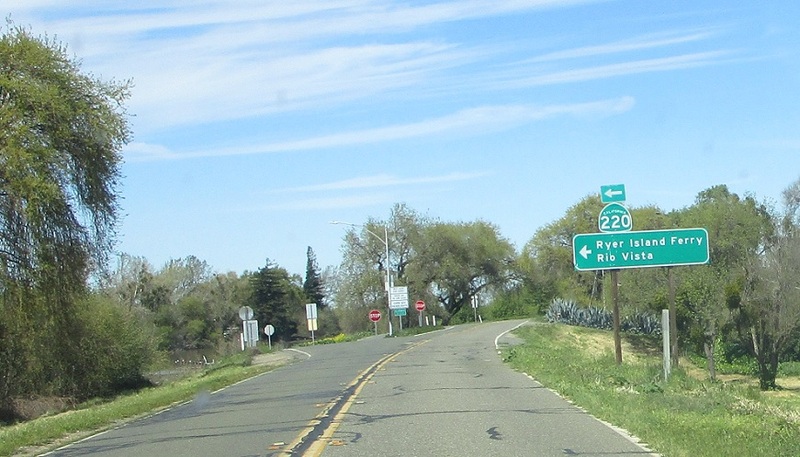 Turn left to stay on 220 west. Reassurance shield as we head down off the levee. 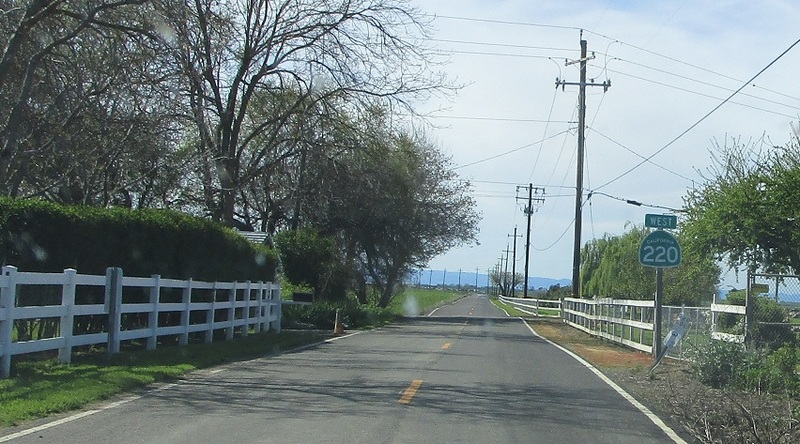 A couple miles later, we’ll approach SR 84, which heads north to Sacramento and south to Rio Vista. 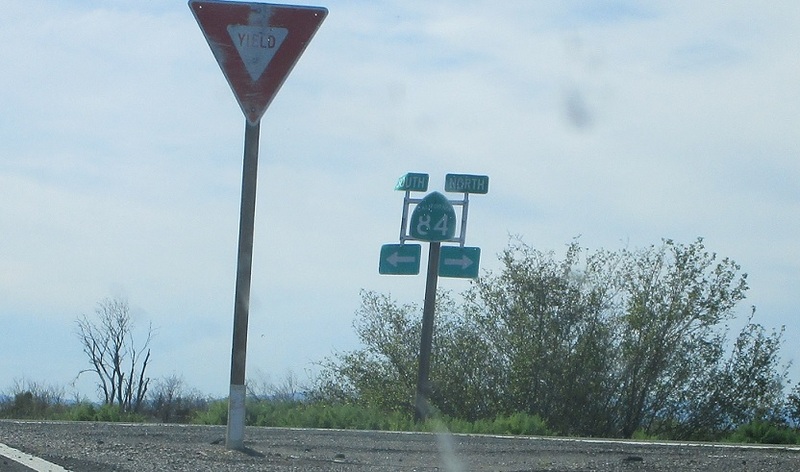 Turn right for 84 north and left for 84 south. SR 220 ends.